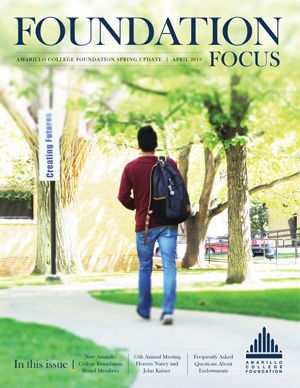 The Foundation's 2019 Spring Newsletter is available in Adobe Portable Document Format (PDF). If you do not have Adobe Acrobat Reader, click on this link (Free Adobe Acrobat Reader) to download and install it on your computer. This will enable you to view and print the newsletter.